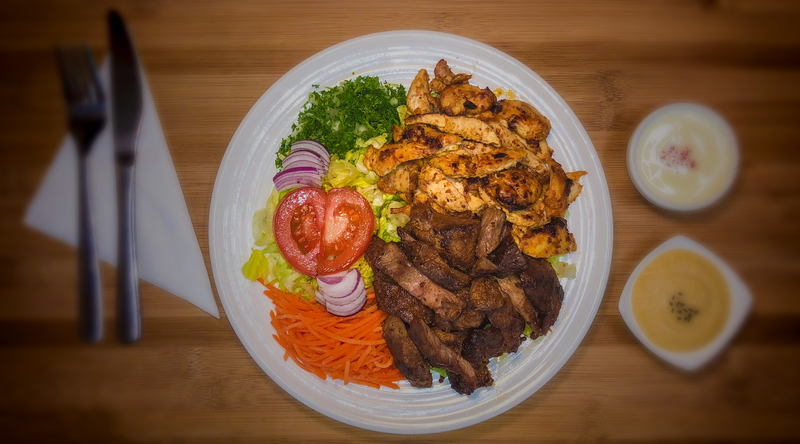 Established in April 2008, Epsom Turkish Kebab has been serving its local community in the surrounding areas of Epsom with the country’s best Kebabs! 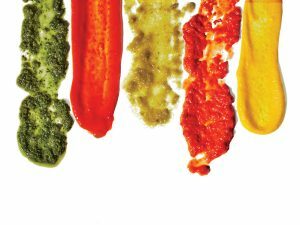 We only use the finest ingredients and have a wide range of healthy and tasty meals to choose from. 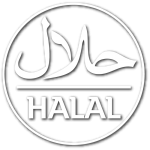 Where else can you guarantee your Kebab or Char Grilled Burger has only 100% New Zealand Chicken, Lamb or Beef. Are you a vegetarian? 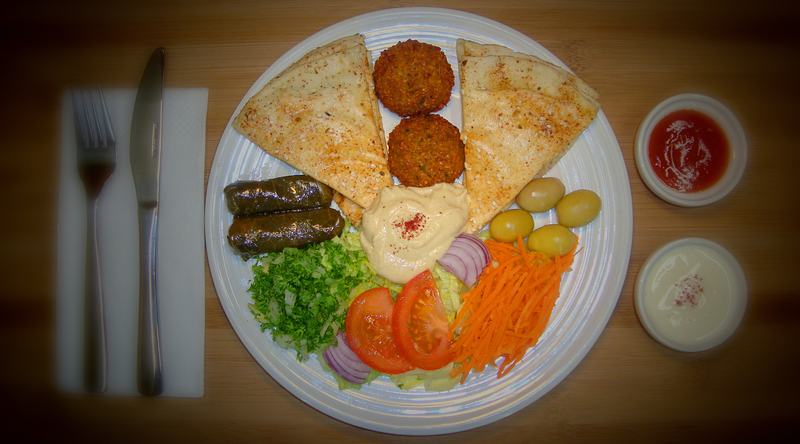 Great, we make some of the loveliest and tastiest Felafel meals too! Our Burgers also happen to be HUGE! The cooking oil we use is really good quality. Its a 100% vegetable oil, so no animal fats. And thats great news if your watching your cholesterol and heart health. You get 3 Sauces to choose from, there’s the usual Garlic & Yoghurt, Mayo, Sweet Chili, BBQ, Mild chilli and Hot Chili. it’s Hot! 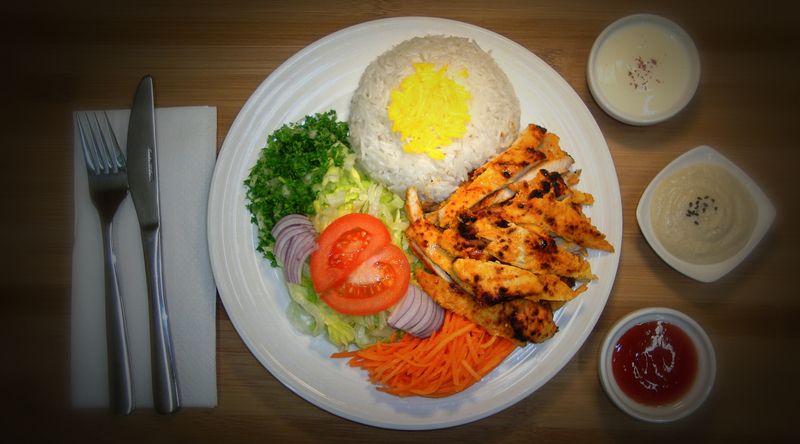 But if you like hot food you must try the Chicken or Lamb Souvlaki as a kebab or as a rice meal…. it’s really hot and spicy, and a firm favorite with our bravest customers. 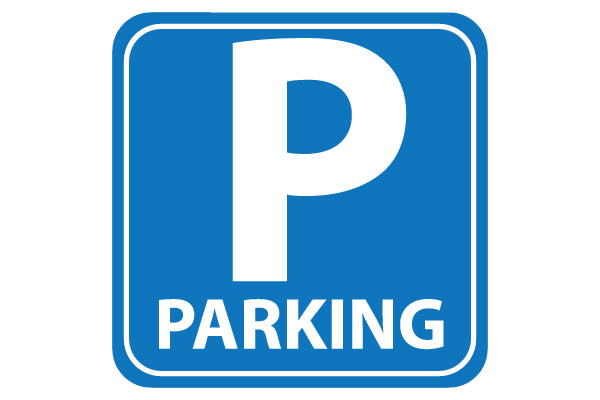 When you come to find us, remember we have a car park just around the corner in Arcadia Street, if you are not sure how to get here. Its 467 Manukau Road, in Epsom by the way…….. So it’s really easy to find! If you know the area, we are opposite Farro Supermarket and close to the Lido Cinema. 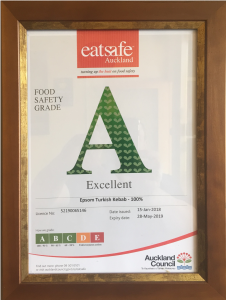 Epsom Turkish Kebab proudly boasts an Auckland Council 100% A grade food hygiene registration as well as a certificate of Halal Accreditation.